Thinking about investing in an Aga? For a device created over one hundred years ago, the Aga has remained a timeless classic throughout the decades with many people, and I include myself in this section, dreaming of the day they own a kitchen big enough to house one of these most unconventional of cookers! However, for those who have purchased an Aga, the reality can be somewhat different to the dream. Forget the idea of leaving your clothes to dry on them overnight and having them sit as a feature in your room; these products offer so much more for those that dare to make these beautiful inventions their own. 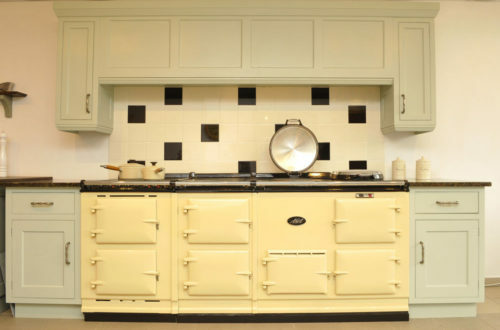 Whereas we may go through a couple of ovens or cookers in our lifetime, an Aga is an investment that really should see the end of this multiple buying pattern. It is therefore no surprise that most new purchasers of the famous product have this realization when they see a couple of removal employees struggling to get the oven through their doors, with some having to resort to winching it through the windows just to get it into their kitchen! Watching their precious chunk of cast iron dangling from chains as it enters their property usually forces people to consider that this is an oven which is not going anywhere for a while once it is in and installed! Perhaps the most stubborn of products, an Aga cannot be controlled! This little fact usually tends to stun most first-time owners when they realize their new oven has no temperature dial to control, but rather a few ovens inside all with their very own set temperature – which you just can not turn up or down! With several standard models, there is usually a roasting oven, baking oven and simmering oven, and the temperatures range from high, medium and low. Then, on the top of the Aga, rest hot plates. Again, one plate is usually for boiling and the other one for simmering. Whereas a few years back Agas were left on all day, nowadays they can be switched on and off as needed, which is great as we look to save more energy as a society and, of course, you try to save on your household energy bills! Perhaps what puts some people off the final purchase of an Aga is the idea that they may have to learn how to start cooking all over again with such a product. The fact is, nothing could be further from the truth. All the food you have been cooking in a conventional oven can be cooked in an Aga. The only difference is having to work out the temperature beforehand, but, once you get used to this, there are no other differences to cope with. In fact, many new Aga owners realize that they can perform simple little tasks using an Aga, such as making up a stock overnight and leaving it to simmer. These benefits extend to being able to make a dinner in one oven while baking a cake in another. Now, this is food prep multitasking at its best! Regarding having to buy additional and expensive equipment just to use with the Aga, well that is not true either, and you can purchase cast iron equipment or cast aluminum stainless cookware, including pots and pans from most reputable retailers without having to order them specially. Many owners just prefer to invest in a range of dedicated Aga cookware as a means of practicality, as not only does it last a very long time due to its toughness in construction, but it also allows you to stack several pans at once in each oven. This means that when family and friends descend on you, or you want to celebrate those wonderful occasions such as Thanks Giving and Christmas, you are always guaranteed to get your menu made in one cooking session. This leaves you with ample time to enjoy the food and the company. Okay, there is no getting away from this one and, as most people are aware, Agas are expensive. In fact, with many of them priced alongside an adequately sized mortgage down-payment, or even a first car purchase, they are probably to be considered along with the lines of any other type of investment. However, it is perhaps worth weighing up the length of time you will have this astounding piece of kitchen equipment in your home. Considering that these items are meant to be for life, and with the average person living well into their seventies or eighties, that this is perhaps one of those investments that really is worth the substantial financial outlay at the very beginning of its life.